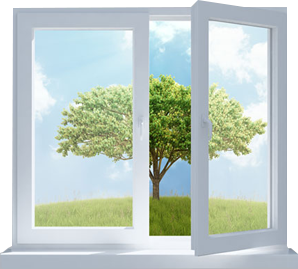 We hear about outdoor air quality and pollution all the time, but how often do you hear about indoor air quality? Probably not nearly as much. However, indoor air quality is of utmost importance, and unfortunately, it is usually much worse than outdoor air quality. In fact, according to the EPA, the air in most homes today is typically about 10 times more polluted than the outside air. The EPA also categorizes indoor air quality in the top five for environmental risks to health! Chemicals used in making carpet, household cleaners, drapery, furniture, and building materials. Homes being higher in energy efficiency, and therefore more airtight, trapping pollutants inside the home. Every individual inhales approximately 3,500 gallons of air on a daily basis, and kids actually inhale more particles relative to their size than teens or adults. An estimated 94% of all respiratory problems are caused by polluted air. Over 31 million people in American have asthma. One-third of those individuals are under the age of 18. One ounce of dust can be home to as many as 40,000 dust mites, which is a common allergen. Approximately 10-15% of people are allergic to dog or cat dander. A person can shed up to 700,000 skin flakes every single day. You can do more than just treat the systems that result from poor indoor quality. You can actually remove the pollutants through a steam or bypass humidifier, dehumidification systems, ultraviolet treatment systems, or a whole-home air cleaner. There are quite a few different air cleaners available today, such as the HEPA Air Cleaner, Media Air Cleaners, and Electronic Air Cleaners. They are easily maintained, only needing maintenance every year or two. The purpose of a whole-home air cleaner is to remove as many particles as possible from the air. This allows you to breathe in cleaner air, which then cuts down on air quality-related health concerns and helps get rid of all of the above-mentioned air pollutants. How Does a Whole-Home Air Cleaner Work? Whole-Home Air Cleaners are completely out of your way as they are installed as part of your home’s central heating and cooling system. That means that each time your system is running, the air in your home will be filtered through the air cleaner, thus removing the contaminants throughout your home. After the air has been filtered, the clean air goes back through the ductwork and back into the home. Ready to have a whole-home air cleaner installed in your home? Contact Ocean Air today by calling 480-358-9435, or fill out the form on our contact page. We look forward to chatting with you!